If you love a dark, brooding, super hero (who would reject that moniker), then you should already be watching Constantine. 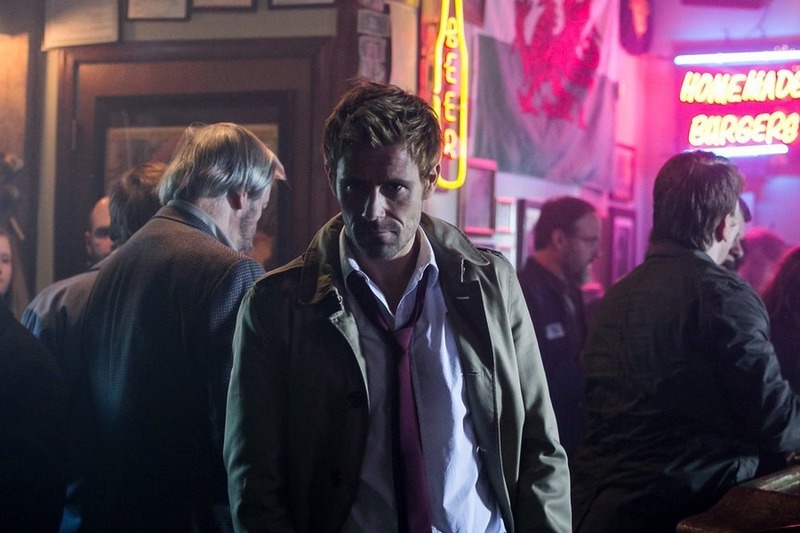 If you love monsters and the supernatural, you definitely don’t want to miss Constantine. OHSOGRAY recently joined a call with executive producers/writers David Goyer and Daniel Cerone to talk about all things Constantine. Constantine airs on Fridays at 10/9c on NBC. What made this the right time and the right platform to be involved in telling the Constantine story? David S. Goyer: Oh. Well, I – the genesis of the project is that I had a meeting with Warner Bros. Television. This is sort of right after “Man of Steel” had come out and they asked the – if I would be interested in doing a television show based on a DC property. And so we just started having a general conversation about which one made most sense. In the first character, I asked about John Constantine. I’ve always been a huge fan. I was reading Swamp Thing when he was introduced. And, in fact, I have a letter printed in one of the early issues that he was introduced as a fan, I think when I was in high school or something like that. There were some sort of legal things to sort out initially and then we start talking about other characters. But eventually Constantine became free and I was really excited. The reason for why is the right time, I’ve done, obviously, in “The Dark Knight” film from Superman, sort of kind of [….] But one of the reasons why I always like John Constantine is he didn’t have superpowers, he didn’t have a costume […]. So it was refreshing for me to tell a story about an antihero as opposed to a hero and he is someone who was really damaged and I just feel like he’s one of the great characters of sort of modern literature and, I don’t know, it was a different change of pace, you know? How far are we going to go into the Constantine mythos early on? Are you going to introduce a lot of familiar stuff in the comics? Obviously, we’ve seen Papa Midnite. And are there going to be more things like that? 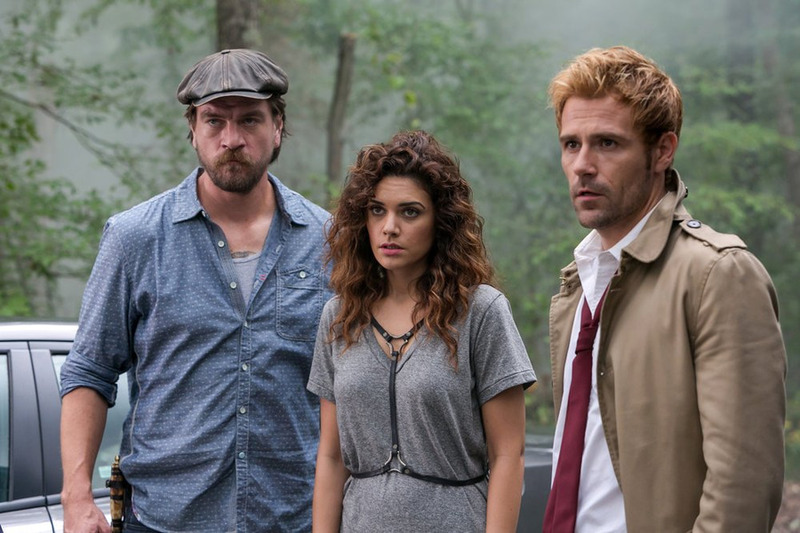 Daniel Cerone: We’re digging as deeply into the Constantine mythos as we possibly can. I mean, in fact, it really is inspiring much of our storytelling. […] In a broader sense, look, over the course of the season, we’re breaking up 17 right now. We have a fantastic ride ahead. Before the end of the season, you’re going to meet and get to know every one of John’s friends from Newcastle that were involved in the sort of faithful exorcism of Astra that, you know, led to the torment – external torment of John’s soul. And so you’re going to meet them all. 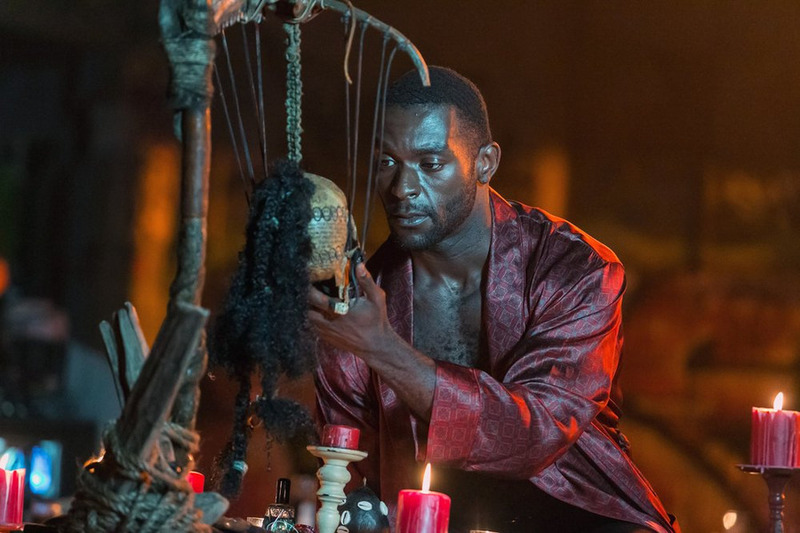 I mean, look, Papa Midnite, I think, we have now in four episodes. Jim Corrigan comes back for a couple of more. I’m reading an outline right now for Episode, what is it, 16 that includes Terence Thirteen with… […] We have Felix Faust. Yes. So we’re really trying to – you know, look, we have this incredible source material. We want to honor it and dig as deeply into it as we possibly can and, at the same time, look, we’re a weekly network show and we have weekly stories. We’re trying to present the best of both worlds in terms of ongoing mythology, with the Hellblazer and DC world but wrapped around weekly stories the viewers can hook into. David S. Goyer: I would add one other thing, too, which is we read the responses to various episodes. I think we have three episodes so far and some people – I know that people seemed to really like the last episode that introduced Papa Midnite and – but some people said “Okay, so now we know what the formula is going to be week after week and we still haven’t heard much more about the rising darkness or Newcastle well.” Well, you’re about to with the fourth episode. We think that sort of the right time to do it, we’re not a fully serialized show. We’re kind of a hybrid between standalone and serialize. We’re going to start introducing more back story elements, you know, every few episodes or so. Are we going to be getting any more episodes that might focus on Chas and his back story at some point? David S. Goyer: He’s not mortal. Daniel Cerone: …very good reason that he’s coming back to life and the only spoiler I will give is that those lives are not infinte. We do have an episode that involves flashbacks where we basically tell that story and we get to know more about Chas, we can meet Renee and his daughter, Renee’s wife, ex-wife or they’re separated right now and his daughter and we kind of dig into that story and figure out what makes Chas tick. David S. Goyer: I would add to that that I – I think when the first 13 episodes are down, people will be surprised at how much kind of background we filled in on various characters and even in terms of the relationship with John and Manny and Zed’s back story and it’s not just taste of the week. How difficult of a decision was it for you guys to not carry on with the Liv story and is there a possibility that she’ll ever pop up again? David S. Goyer: Honestly, it really wasn’t that difficult. It became apparent to us and, look, we’re glad you like her. I think she did a fantastic job. But I think that the character wasn’t – was flawed in its conception. We’re – obviously we’re to blame for that. 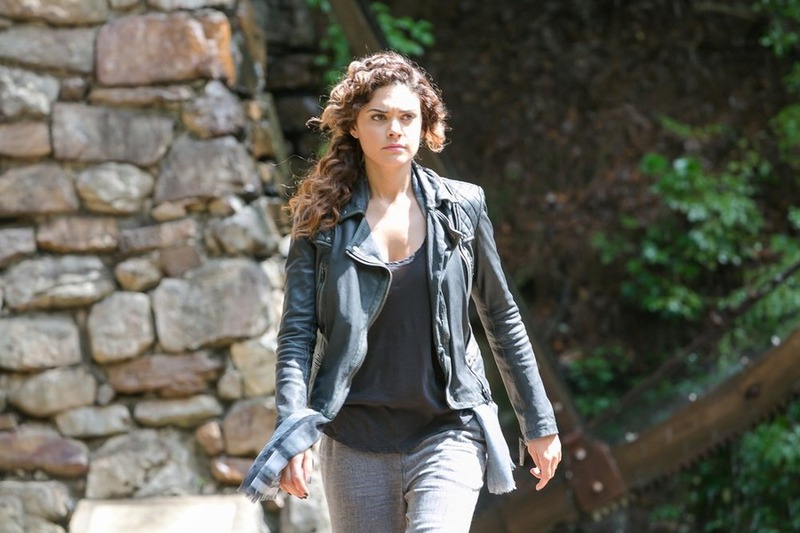 She was the only major character in the pilot that wasn’t from the comic books and sometimes you make these concessions when you’re trying to get a show off and running and one of the benefits of doing a pilot is you’ve got this initial downtime after the pilot before you’re filming again in which you can think about retooling some aspects. Once we saw the character in action and we started breaking, Episodes 2, 3, 4, 5 and 6, we felt like we were just running into a lot of dead ends. That’s when we decided to go back to the source material and talking about character Zed and I will say I feel like that the vast majority of the audience seems to have felt that the Zed character was a better match for John and seems to have supported our decision. Daniel Cerone: Yes, that’s her father’s place. As we dig deeper into the season, as we start talking about possible arc for next season, there’s – I would say there’s an opening there. Whether it’s an opening we’ll step through or not, it would have to be organic, it would have to feel right and not feel like a device. But if there’s an organic reason to bring her back into the story, we’d love to. How does the fan base help you develop the storylines you want to produce? David S. Goyer: I’ve adopted quite a few comic book properties now. And it’s a – it’s tricky because I think you have to be really attentive to the fan base. What we talk about is – but at the same time […]. You can’t give the market what they say they want. You want to give them something that they haven’t even thought of. If you give them exactly what they want, they become disappointed by the same token. The way that we’ve always tried to measure it is that we’ve tried to dip in with the fans and be aware of what are the issues that are most important to them, what are the core concepts that are most important, with the characters what are the most important. But we, also cognizant of the fact that if the show is going to flourish and broaden its audience, we need to be able to respond to an audience greater than just the core comic book fans. And so it needs to work for both audiences. We weren’t new to the character. Daniel Cerone: Not at all. We fell in love with all the things about John Constantine that the fans did. And – or at least based on what I’ve read of the fans. But look, we needed that smartass, wisecracking, like, just, you know, gallows humor, scruffy blonde-haired, trench coat-wearing, cigarette-smoking breath with a fatalistic attitude and this deeply humanist point of view for reasons that he doesn’t even understand. We like that character. That was someone that just appealed to us. So we’re going to be true to that no matter what. We wanted to stay true to the world and the characters. And then you take that foundation and you have to figure out, “Okay, how can we pour that into a show that can last and sustain itself on a weekly basis” and NBC had certain desires for the show. They wanted stories that were told every week. So as David mentioned before, this is a bit of a hybrid. I mean, for us, it was “Okay, how do we figure out how to both, you know, as fans, tell the story we want to tell about the evolution of this character and his relationships, you know, as well as some closed-end stories to broaden out the fan base?” So yes. We came out of it as fans. Daniel Cerone: …he does. So at every step of the way, we fought for that. And to their credit, they were very open and they understood our passion and I believe the fans’ passion for the character. David S. Goyer: But, to put a bow on it, how does the fans, how does the hopes and desires back burn to it, it’s important because we were fans of the character and have been fans of the character for decades ourselves. So we were really determined to try to bring to life, a version of Constantine that was accurate. 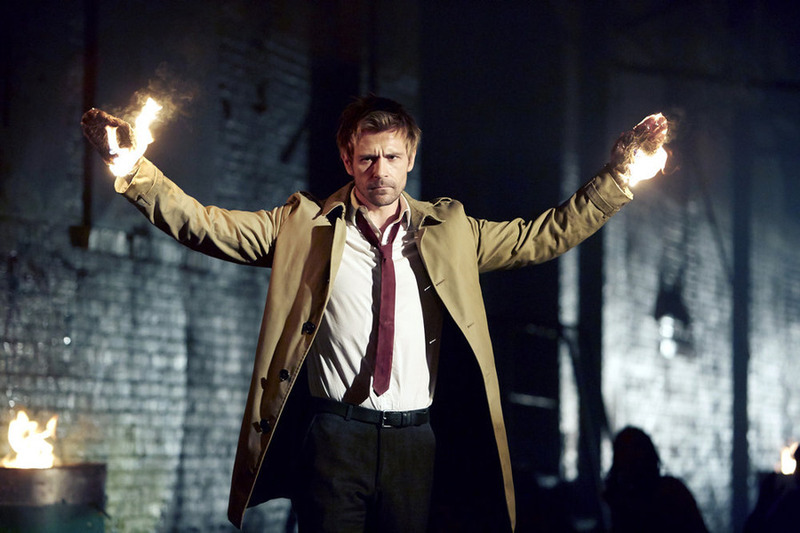 Constantine is not like Arrow, he’s not like The Flash, he’s kind of a different kind of hero/antihero. How does that factor into your writing and the portrayal of this character in order to still make people want to root for him? How do you make your antihero the hero? David S. Goyer: Well, this is David speaking, first of all, I would say, I mean, there are heroes and there are antiheroes. And they’re both a lot of fun to write. But in some ways, writing antiheroes, antiheroes are more fun to write for because they’re not bound by the same moral code that the heroes are. In some ways, antiheroes are more human because most of us have variables. Most of us are imperfect. And, you know, he’s doing what he’s doing for fundamentally noble reasons but he doesn’t really have a code of conduct. I do think that audiences also like antiheroes. I mean, if you look at House, if you look at Luthor, if you look at Sherlock, I would categorize these characters more properly antiheroes than heroes. They can be fun. And different and it’s – they’re not operational. You don’t – people want to be them and people want to be Superman. I don’t think people want to be Constantine because he’s kind of a miserable thought. But he’s also fun. And it’s fun to – it’s a reverence and it’s just a different way to go. Daniel Crone: A lot of characters that are out there are doing what they do because it’s their job or because I have a badge or because I have a calling. As David said, Constantine is doing the right thing but he’s doing it for totally humanist reasons, you know? It’s one of those fascinating aspects of the character to me is if you ask him why he’s out there helping humanity, I’m not even sure he can tell you. Daniel Cerone: He is doing it because he wants to save lives? Is he doing it because, frankly, chasing demons is a bit of a fix for him and he’s just challenging for the next kill? Is he doing it, as he said early in his career, for the women and to get laid? Is he doing it to, because it’s kind of self-empowerment? It’s just never really clear. What’s great about him is I don’t even think he’s clear. But yet, he keeps doing it and he keeps fighting this fight. And yes, as David said, one of the funest things is that there’s no code of conduct that he operates by. He’s doing the good things that all the cops and lawyers and whatever kind of other heroes are out there doing. But there’s no checks and balances for him. And that’s where he often gets into trouble. I think when you ask what makes him relatable, I think that’s it because he’s his own…he has a self-sense to himself and he frequently goes over the line and he frequently makes bad calls and the fact that Constantine, if you – anyone who gets close to Constantine dies. That has proven itself true for years in the comic books. Very early in our series, you’re going to see that, too, where he makes the hard calls and he loses friends over it, sometimes literally. That’s kind of his curse and it makes him, hopefully – hopefully, that’s what makes him – it’s easy to root for him. David S. Goyer: I would also add that I think that these things are cyclical and I think that they come in waves and maybe it’s a common – a broader commentary on where we are in society right now. But the television landscape right now is, you know, it’s flourishing with the really flawed characters. For whatever reason, audiences are responding and fascinated by these flawed characters. It’s not so much – I think if you look at the television landscape now, it used to be that there were a lot of – the black hats were the black hats and white cats were the white cats and it was very clear who is who but there are a lot of shades of grey right now and that seems to be kind of, what’s happening with the right guys, in terms of the role.